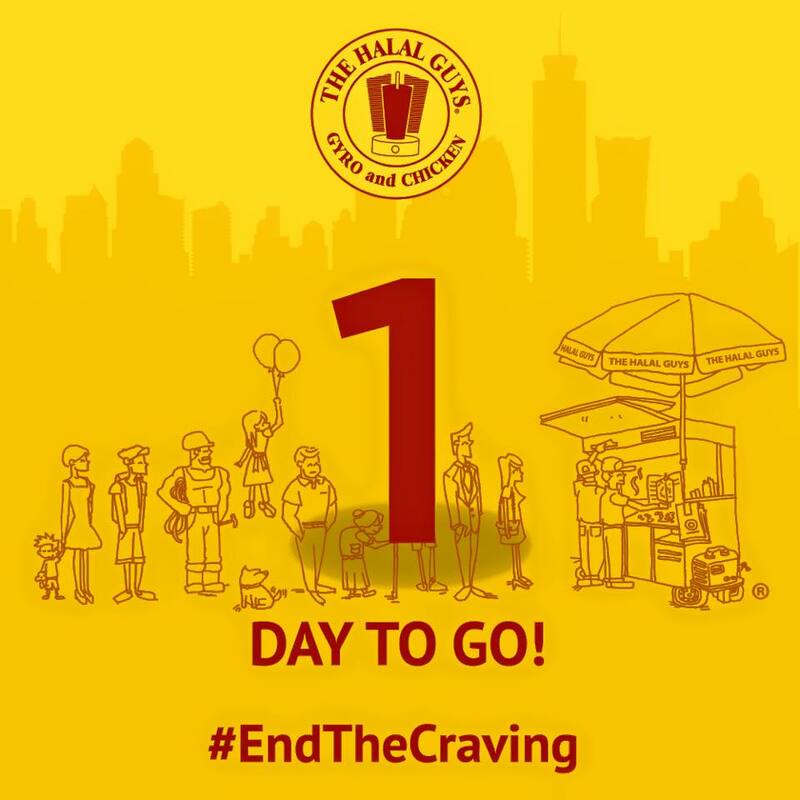 Yes, it is finally happening. After almost a year of waiting (or was it over a year? 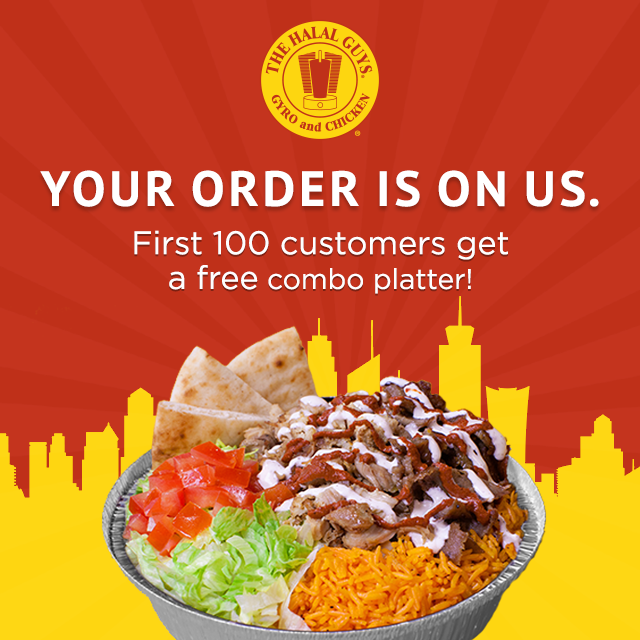 ), The Halal Guys is finally opening its first store in Manila! I still remember the first time I saw The Halal Guys Opening Soon tarpaulin signage at the quirky SM Mega Food Hall. I squealed like fangirl and anticipated its opening which was supposedly July of this year. But just like most stores’ opening dates, The Halal Guys’ was also moved. They said that the cause of the delay was that they wanted to make sure that they get the quality right. Sounds reasonable to me as long as I get the real deal! You may think it’s just your typical gyro but let’s put it this way… I lined up for a plate of that combo (chicken and beef) gyro goodness drowning in The Halal Guy’s signature delectable white sauce in New York at 3 degrees Celsius, underdressed (not by choice). And I am not fond of the cold breeze being a girl who grew up in Manila. It was worth the frozen fingers and toes! I just hope that they retain the quality of the gyros I fell in love with in New York. Tip for those travelling to New York: There are several copycats so watch out for carts with long lines. 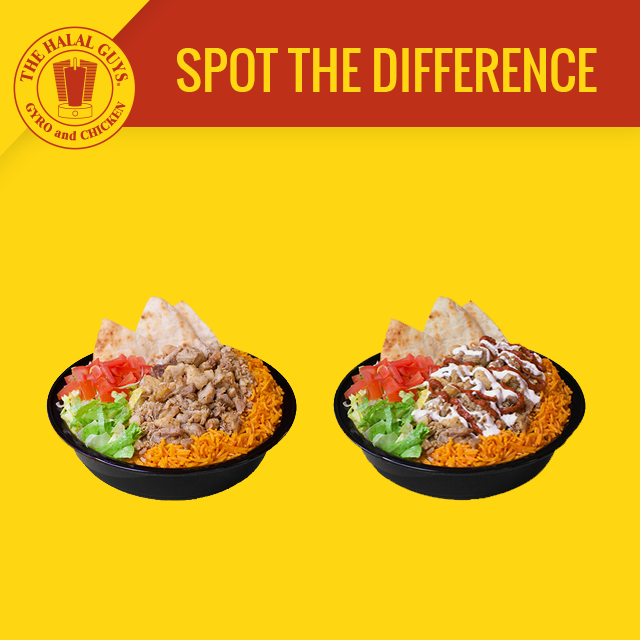 Chances are, those are the legit The Halal Guys. But the ones closer to Central Park cost more. It would be around $10-12 versus $8 at some other areas. 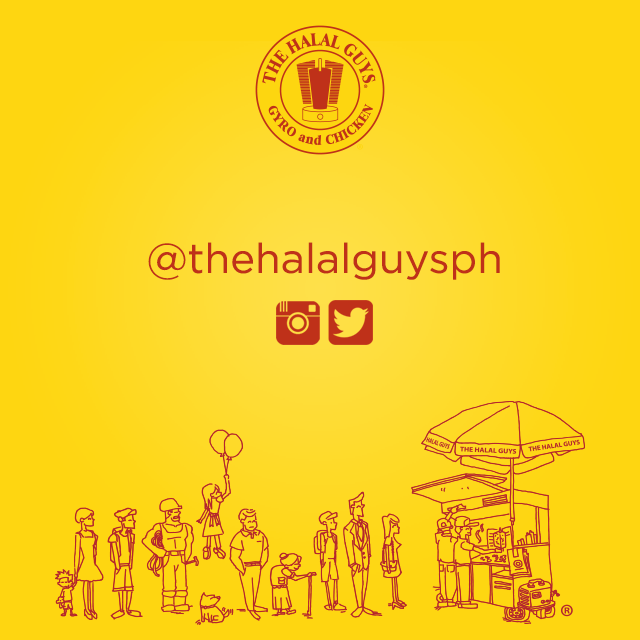 The Halal Guys is located at Mega Food Hall, 5th Floor, SM Megamall Fashion Hall, Mandaluyong City.